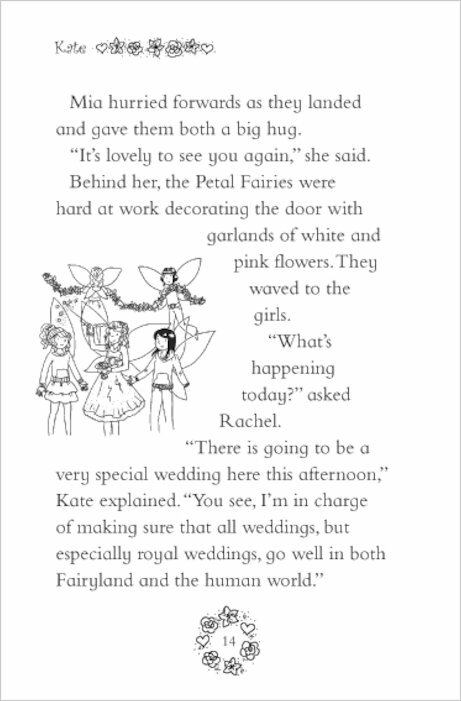 Kate the Royal Wedding Fairy makes sure that all weddings are happy and magical! 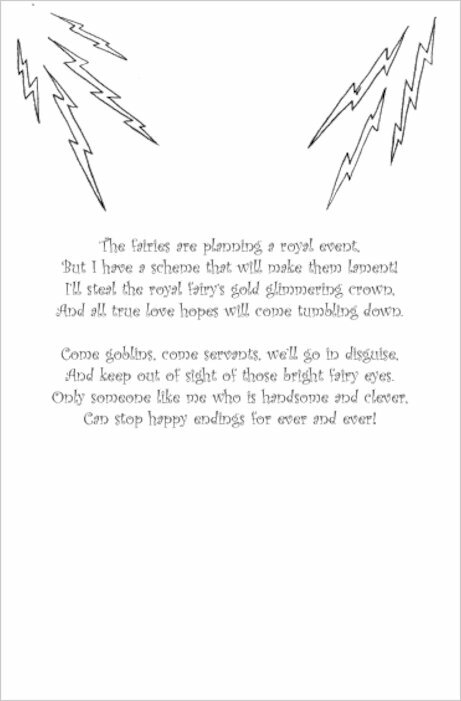 But when mean Jack Frost steals the True Love Crown, the Fairyland royal wedding is sure to be a disaster. 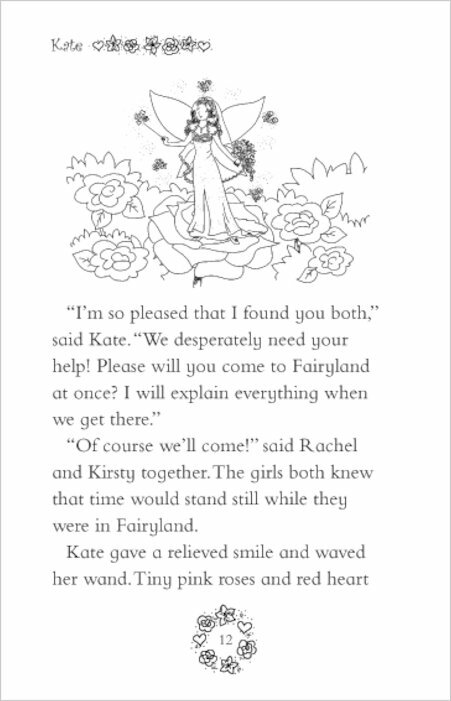 Can Kirsty and Rachel find the crown so the royal couple will live happily ever after…? 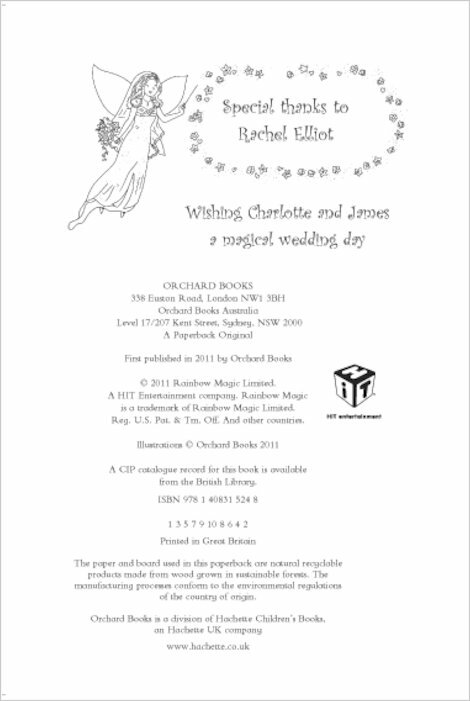 A deliciously sparkly Rainbow Magic special to celebrate the wedding of the year! This book is so cool! I simply love her dress. I thought this book was great because it had a great ending. 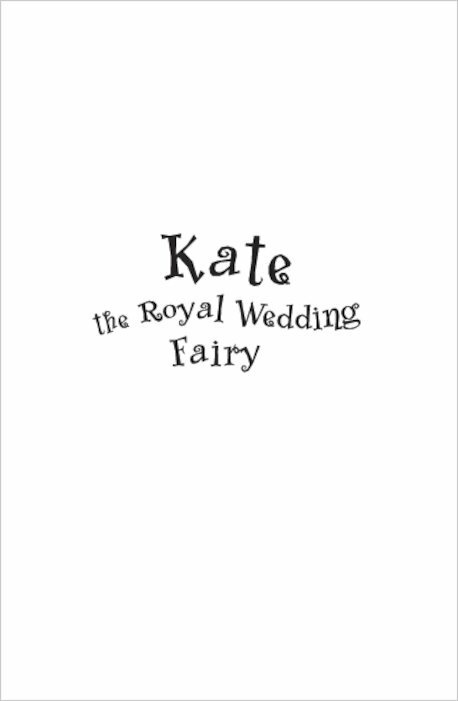 It reminds me when the royal wedding of Kate Middleton.!!!!!! 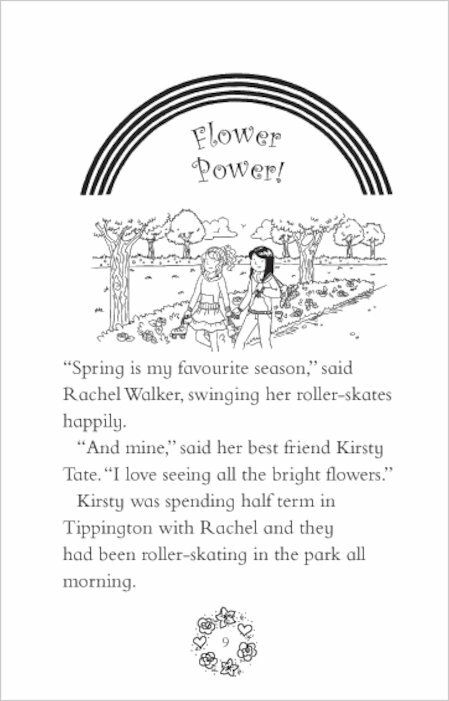 this book is for younger kids but is good. 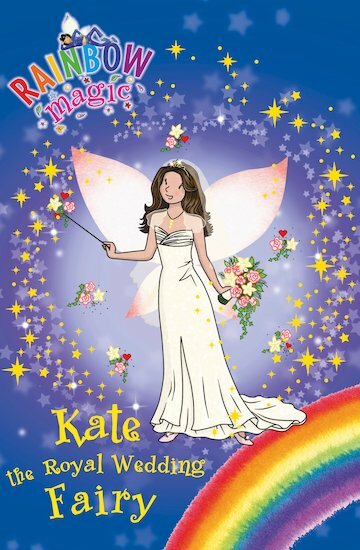 The Rainbow Magic books are a must-read for all younger girls. 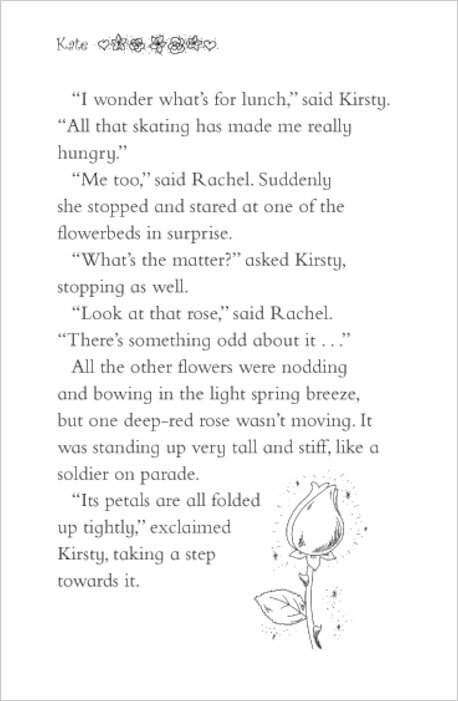 Rachel and Kirsty help the fairies to try and defeat Jack Frost. I really like this book. 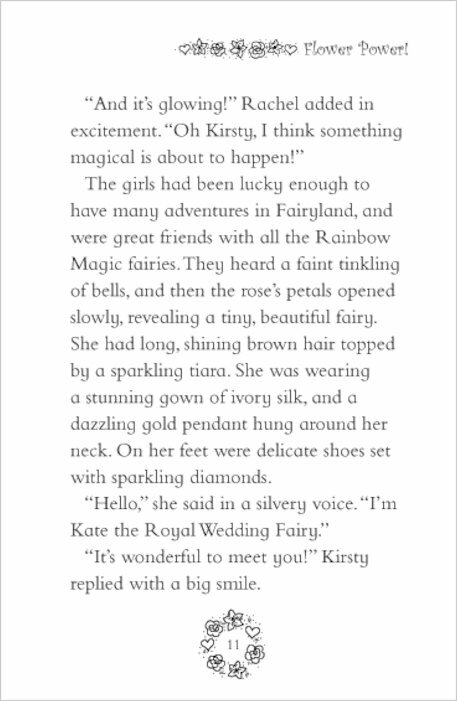 I wrote to Princess Kate herself! 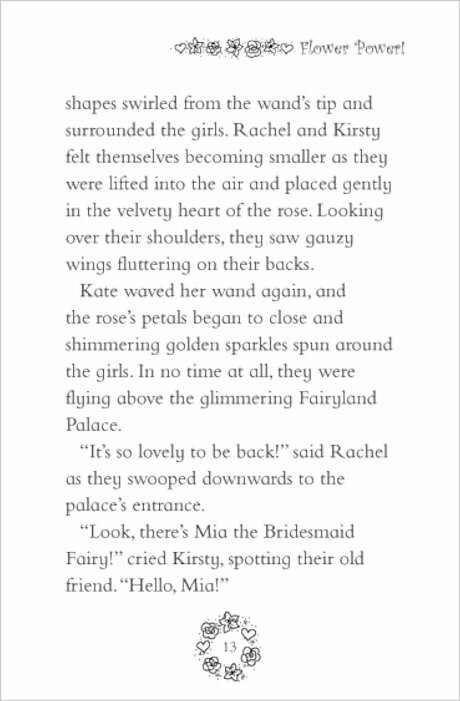 If you are a Rainbow Magic fan read this, but if you just started reading them you would love it even more! bye Really Good! i am readig it and it is one of my favrote books at the momant i would give it 5/5 I LOVE IT!